If you want to make your guests feel very uncomfortable sit them down at this absurd dinning room table. 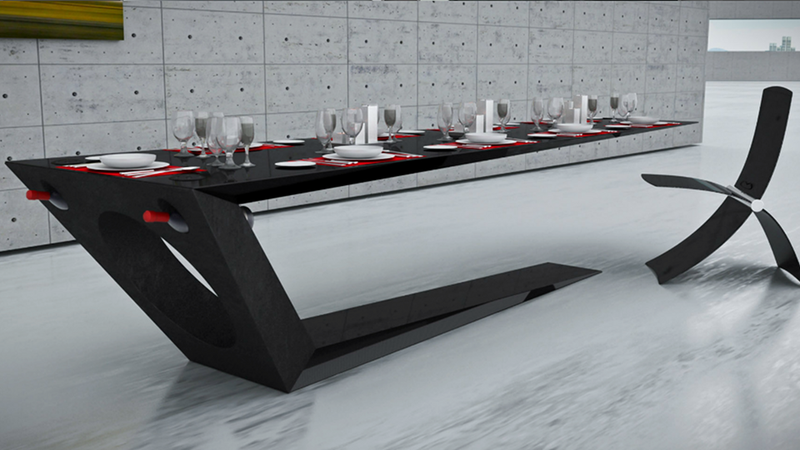 The 12-foot-long carbon fiber table only stands up on one leg. How is that even possible? The ostentatiously-named Monolito and Megalito by British designer Jules Sturgess looks mighty precarious. But its dramatic, angled design is actually what allows the table to seemingly defy the laws of physics. It's anchored to the ground by a huge slab from which the tabletop's support juts up at an obtuse angle, giving the structure enough leverage to keep the it from collapsing. The table also gradually narrows down to just five millimeters thick.